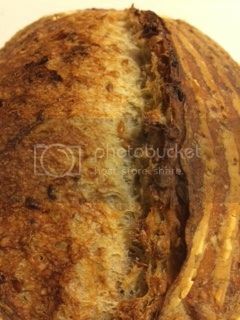 I've been enamored of Kamut and recently I've been making a bread w 25% Kamut ( sometimes with just whole grain, sometimes with 1/2 Whole grain and 1/2 White Kamut). I've liked the crisp crust and the lovely rise. The flavor hasn't been quite as full as I like even when I was using just whole grain. Recently I added just 5% rye and it hit the sweet spot for me. Nice oven spring, crisp crust and a lot of flavor. 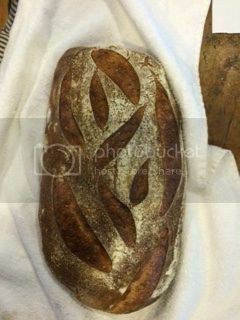 I find that Kamut really needs a lot of time to rise properly and often I need to adjust around it's quirks. But totally worth it. So.... 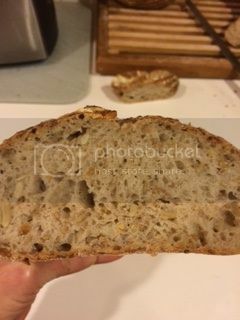 I've been struggling with trying to let lift and good crumb from whole wheat. I like 100% for it's health benefits. This is my third try and will post crumb shot later. Autolyse above for several hours. While doing that I fed my whole wheat starter and poured 60 gm of boiled water on the remaining 40 gm of the bran from sifting. After mixing in several stages I added water as needed to get the consistency I'm used to. It ended up being about another 50 gm of water. 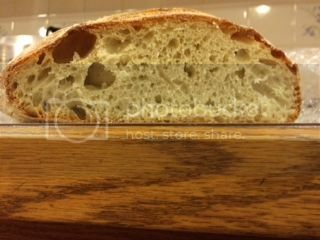 Did 6 hour bulk fermentation with s&f every couple of hours. Final bench rest (30) and shaping and then into fridge. However, I put some parchment paper in the banneton to help me with transfer for the morning bake. I did this b/c of the collapsing I've had w other attempts. Baked for about 40 minutes, first 20 @ 475, last 20 @ 460. 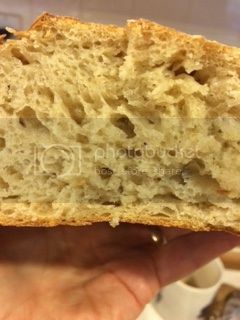 Crumb shot: I'm pretty satisfied with these results, Not perfect but improving with 100% ww and hydration. My simple favorite: Norwich SD made w T65 and Rye (~10%). Spontaneous compliments from my hubby, son and future daughter in law. 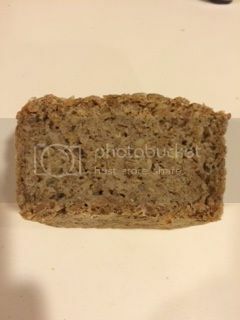 So Finally I did a Danish Rugbrot. I got the recipe on line and altered it only a little bit. It is loaded with: rye berries, cracked rye, wheat berries, bulgur wheat, flax seed and sunflower seeds. No commercial yeast at all. And no coloring. Night before dough I added the levain to the soaker all the berries, grains & seeds minus the sunflower seeds. Here's what it looked like next morning. Then I added the flours (AP and Dark rye). Let it rise a couple hours. Scooped into pans, let it rise another hour, then baked off. Crumb shot It is delicious! My iteration of Hamelnan's Sourdough seed. 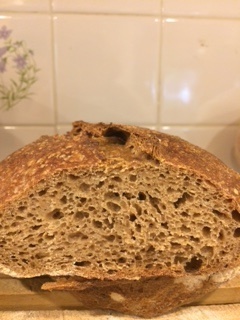 I used 3 flours (AP, Rye, and Golden buffalo) and four grains (soaked cracked rye , toasted sesame seeds, toasted sunflower seeds and soaked flax). It is delicious filled w protein and nuttiness and all kinds of goodness. But I salvaged my loaves. Durum flour 60%, AP 15%, Golden Buffalo 25%. AP was the levain overnight. Only other addition was salt and a tad of honey. Made in loaf pans for a change of pace. Glad I did that b/c of the oven disaster 20 minutes into the bake. Top got a little dark b/c I had to leave them in the oven w the door open at high temp. Taste is great. Fresh and toasted both. My guru Abe, suggested I post this here. 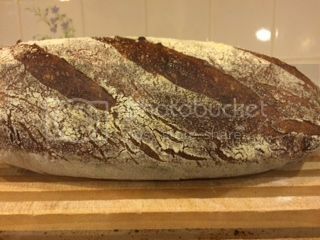 I am new to sour dough but am hooked after just 4 bakes. I followed Hamelman's recipe, though with a much higher hydration %age (though he does say, "adjust the hydration"). Made 2 loaves: one the same day as mix, the 2nd after overnight in the fridge. I should've refrigerated #2 right away, but we went out to dinner and I left it out a bit before over-nighting it and it over-proofed a bit. Was easier to score tho. Pics below. 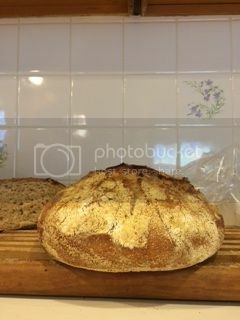 The nice topshot is of the 2nd loaf, the first pics of the same day bake. Abe has helped me so much over the last 10 days. 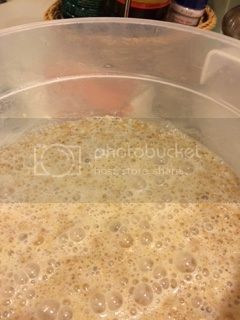 When I thought my starter was failing he helped me patiently to wait, feed, wait and then held my hand to help me create Forkish's Overnight Country Brown. This turned out pretty well for me. 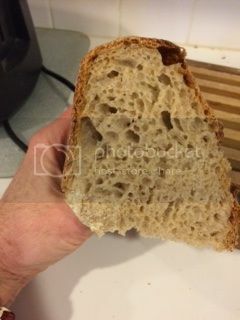 Crumb was delicious and the toast it makes is lovely. I followed recipe to the letter using KA AP flour. Will do baguettes with this recipe only will use KA French. 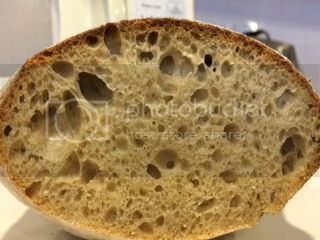 Hope pic of crumb loads.